Music is an obvious outlet for self-expression and creativity. The child who is skilled at music excels at problem-solving, evaluation, and analysis. Music reading uses the same portion of the brain that’s used in mathematical thinking. We believe that it is essential that music must be taught throughout the curriculum, and not just in separate areas such as orchestra and tuitions. That is one way we can assure opportunities for all students to develop their capacities more fully. 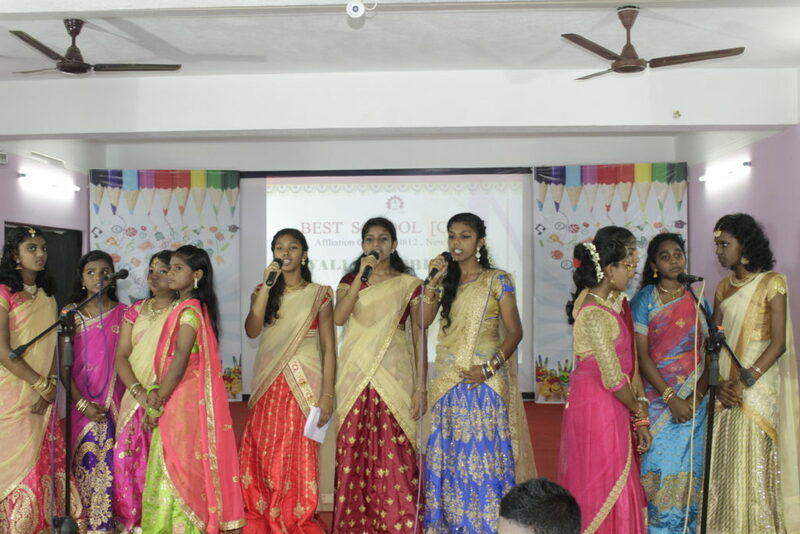 As a part of extra- curricular and also in regular class, students are taught Indian Classical music with proper pitch and rhythm through a trained music staff.